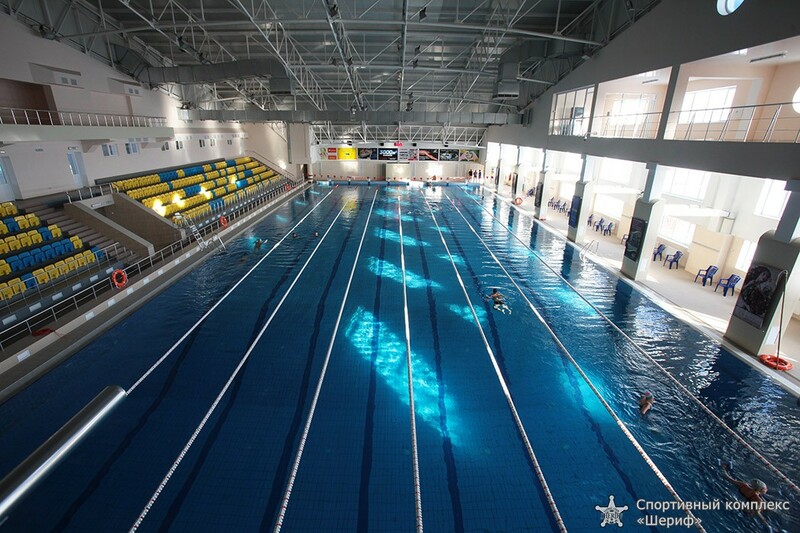 The swimming pool of the sports complex „Sheriff” is a unique sports construction conforming to all international standards. 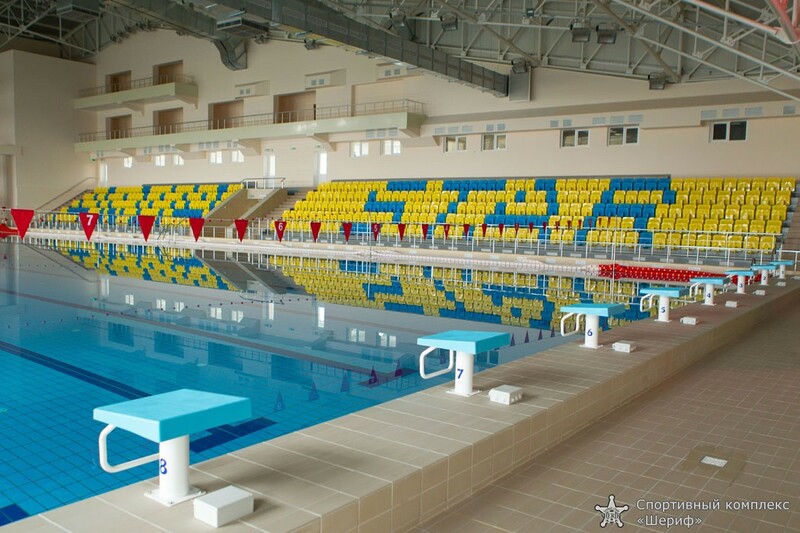 The first 50 meter covered pool in the region is equipped not only for classical swimming, but also for diving. 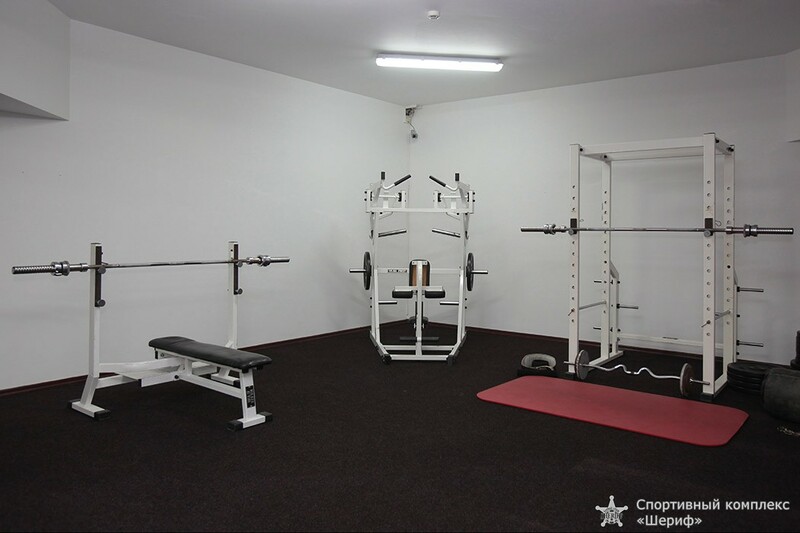 Modern towers and springboards allow young talents and professional athletes to perfect their skills at the highest level. 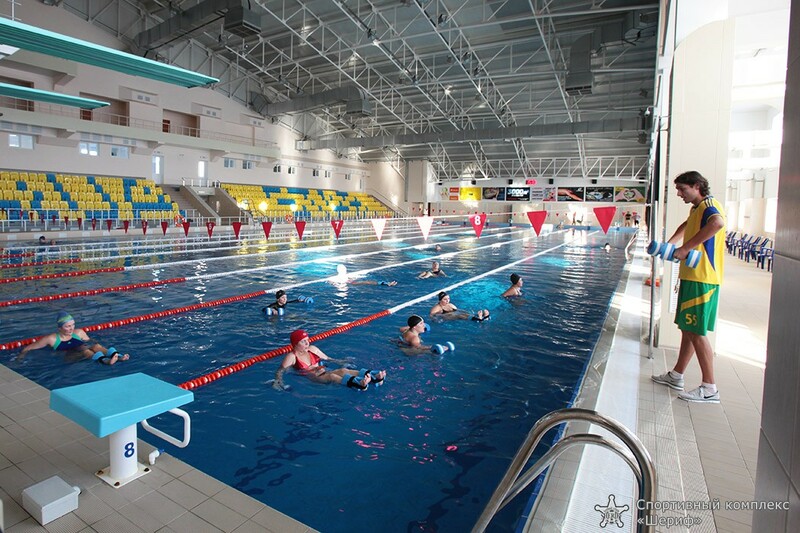 The infrastructure of the swimming pool of sport center „Sheriff” also answers inquiries of such sports as water polo, scuba diving and synchronized swimming. 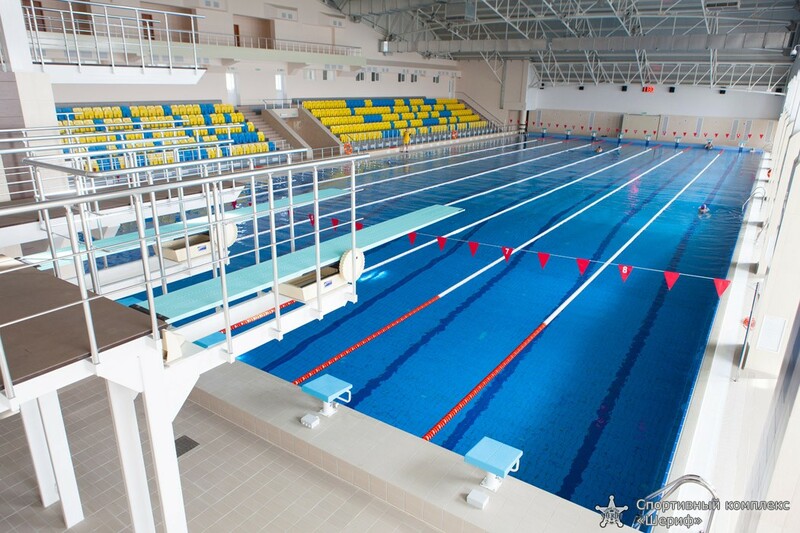 On an equal basis with educational and training work in the pool, visitors are given opportunity of improving swimming as one-time, and according to the subscription for up to three months. 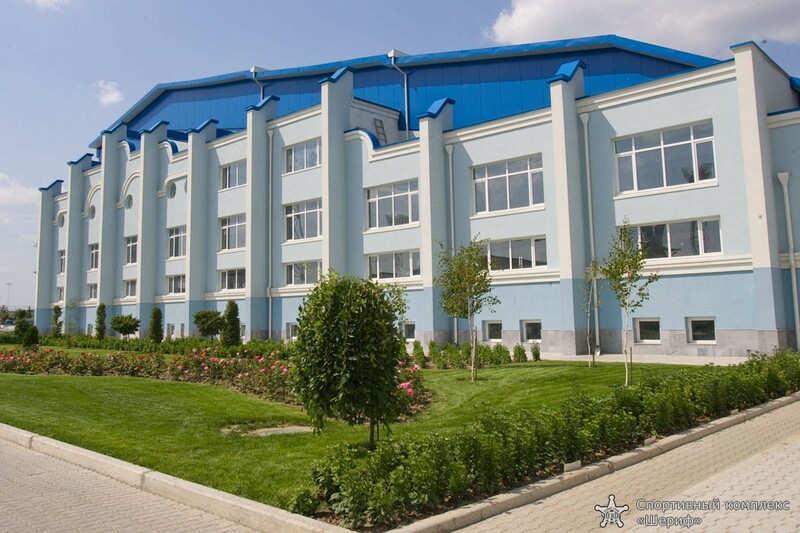 The covered swimming pool of sport center „Sheriff” belongs to pools of recirculation type. It is equipped with the advanced system of the filtration and the water purification which doesn’t have analogs in the Republic. 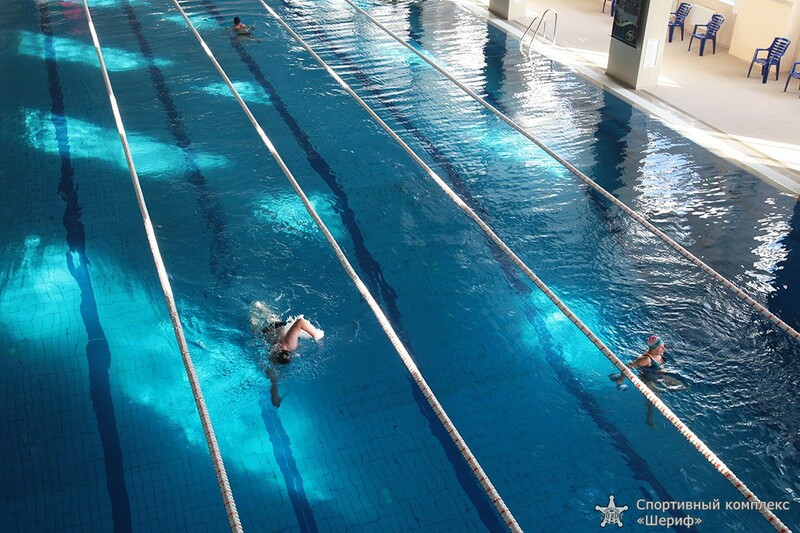 Depth of the pool varies from 1,8 meters to 4,6 meters that is optimum suitable for various kinds of water sports. 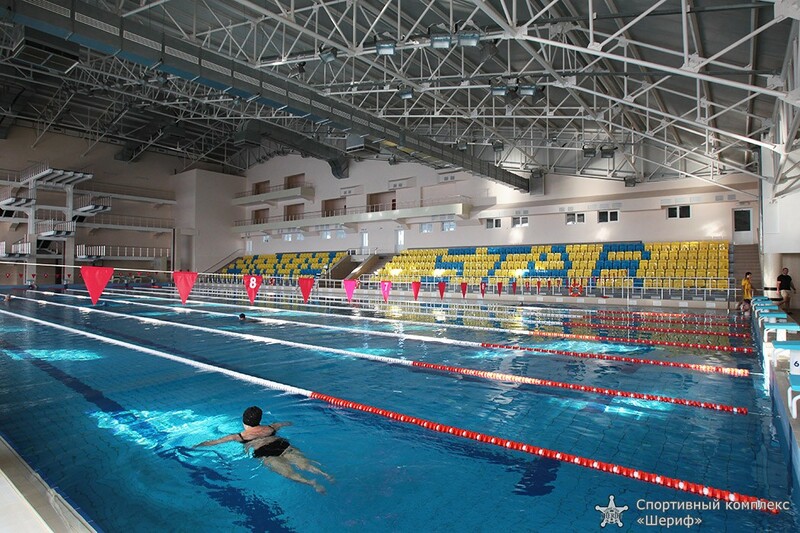 The bathtub of the pool of the sports complex Sheriff is divided into 8 swimming paths. 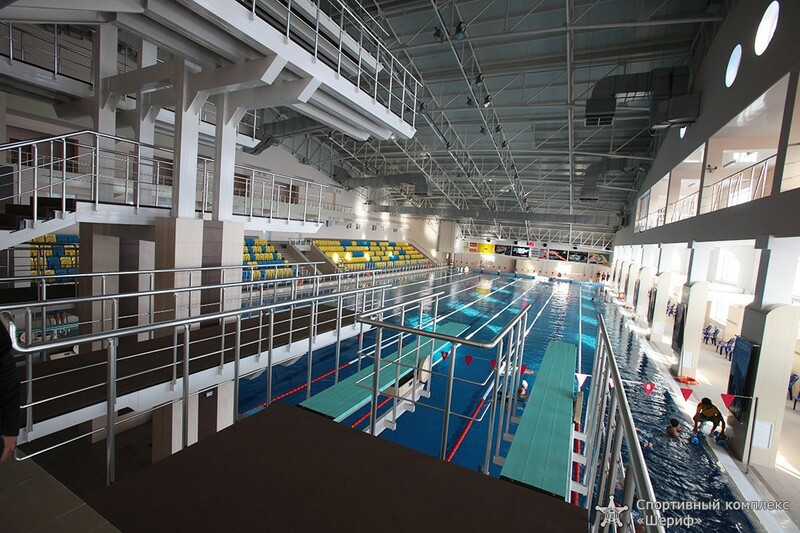 The covered pool is year-round, with obligatory maintenance of water temperature at the level of +27 degrees Celsius, and air temperature + 29 degrees Celsius. The tribunes’ capacity is 415 seats, that allows to comfort. the audience of sports competitions. Also, all the visitors of the pool may attend a sauna of sports type. 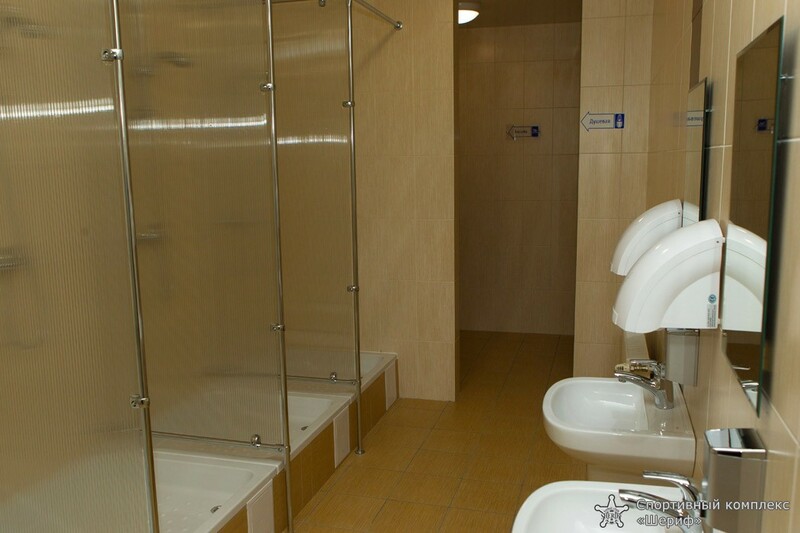 The sauna is calculated on a visit up to 8 persons and equipped for good rest and a raising of the tone of the organism. 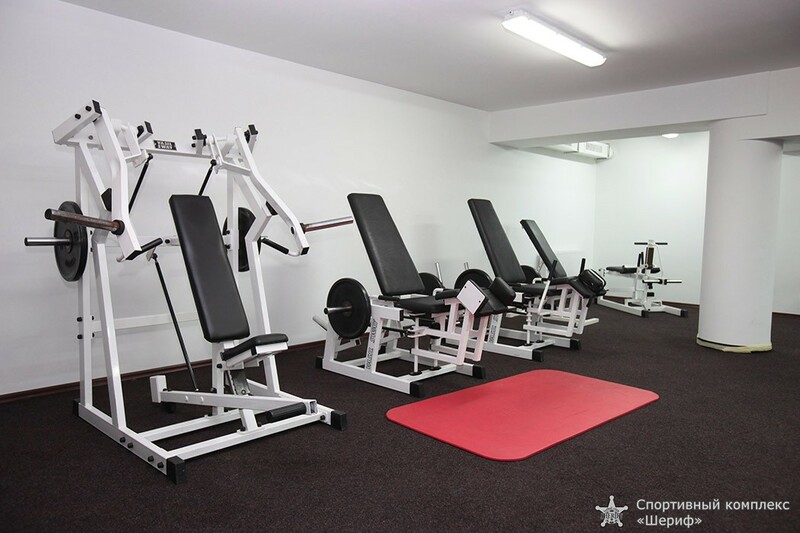 A visit to the sauna is recommended to be combined with swimming in the pool for strengthening the improving effect. Breaks in work of the cash desk/reception: 9:00 — 9:30, 12:30 — 13:00, 16:00 — 16:30, 19:00 — 19:30. For children till 14 years — the certificate of results of parasitological inspection. 1 single visit, preferential [*] 45 rub. 2 single visit 50 rub. 3 Subscription for 10 visits 470 rub. 4 Subscription for 20 visits 800 rub. 5 Subscription for 30 visits 1140 rub. 6 Subscription for 50 visits 1750 rub. 7 single visit, preferential [*] 60 rub. 8 single visit 65 rub. 9 Subscription for 10 visits 620 rub. 10 Subscription for 20 visits 1100 rub. 11 Subscription for 30 visits 1590 rub. 12 Subscription for 50 visits 2250 rub. 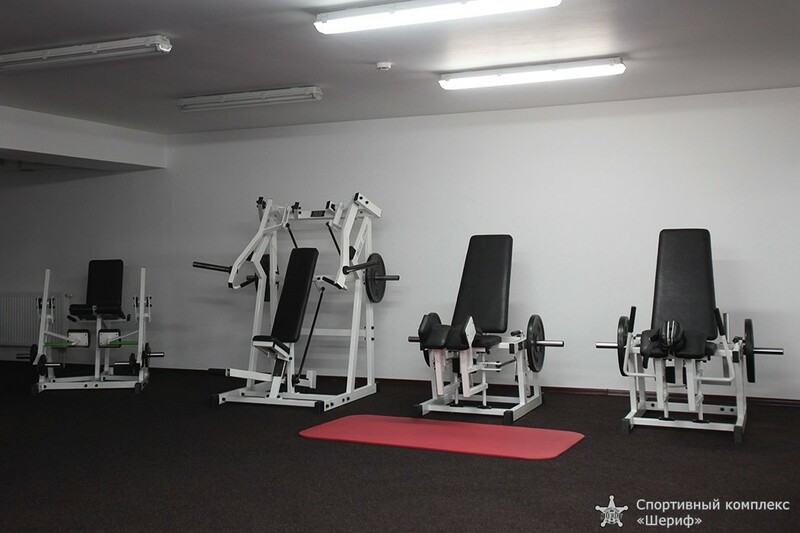 13 Individual training with the trainer [***], 1 hour 50 rub. 14 single occupation of children’s group 40 rub. 15 The subscription [**] for training in children’s group, 8 visits (2 times a week) 304 rub. 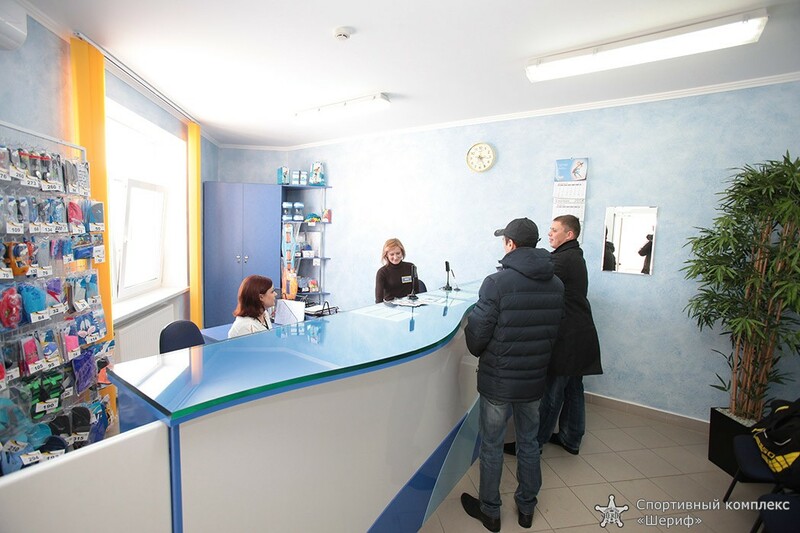 16 The subscription [**] for training in children’s group, 12 visits (3 times a week) 420 rub. 17 single training in adult group 45 rub. 18 The subscription [**] for training in adult group, 8 visits (2 times a week) 336 rub. 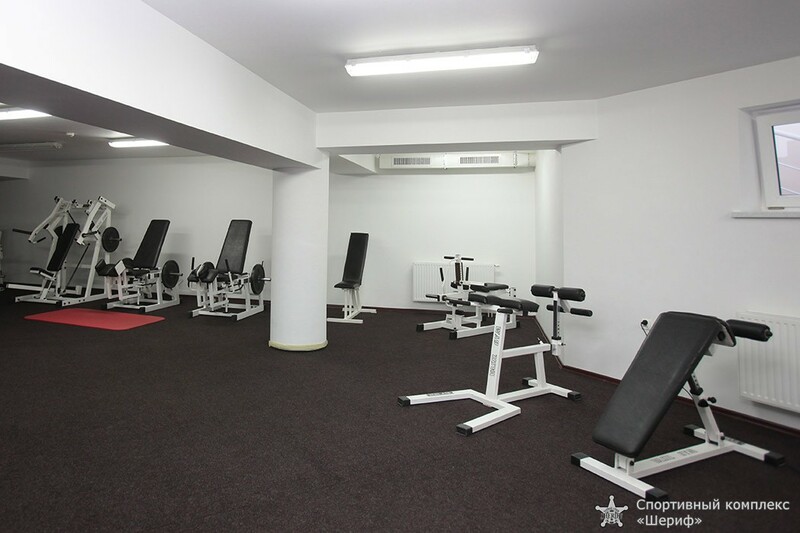 19 The subscription [**] for training in adult group, 12 visits (3 times a week) 456 rub. [***] – additional service is possible in the presence of the existing subscription or single visit. 20 Electronic registration of the visitor (once), except single visits 50 rub. 21 Penalty for lost or damaged electronic bracelet, because of the visitor 100 rub. 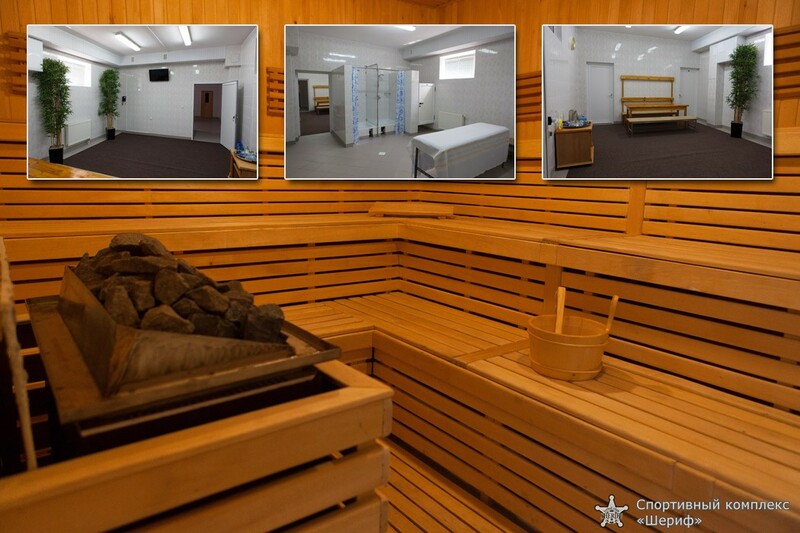 22 Sauna services, 1 hour ( 8 persons) 100 rub. Location map: share taxis №№ 1, 6, 9, 9a, 15 to a stop „the Zapadny” market”. Further cross the road and come to SC „Sheriff” territory — the security service or indexes will direct you to an entrance to the pool. 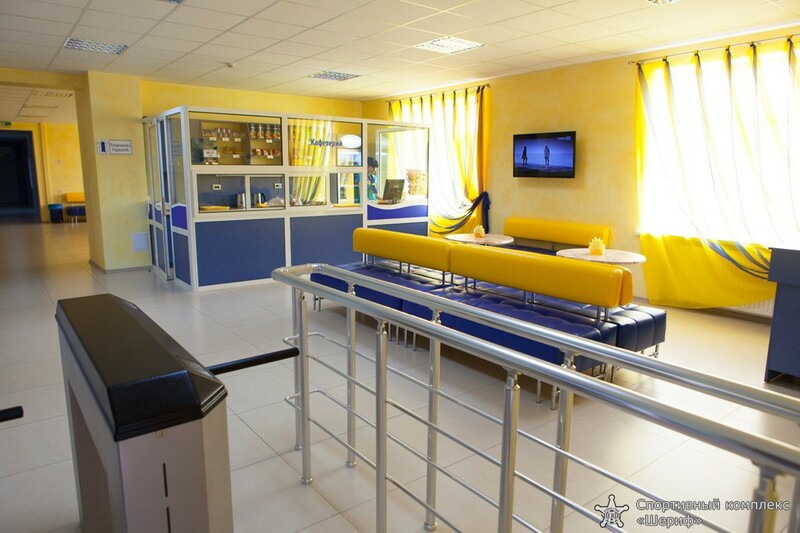 Having visited the „Sheriff” sports complex once, you will surely want to return here again.